Canvas recently announced the new television program ‘Hanne danst’. But do you remember its prequel 'Thomas speelt het hard'? With the help of VRT Sandbox and the startup Koalect, Canvas had reached out to big audience even before the program existed. How did that work, you say? Take a look! 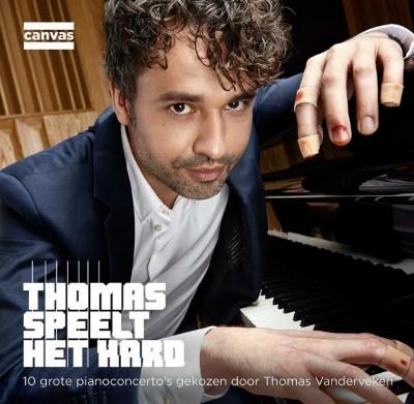 In ‘Thomas speelt het hard’ Thomas Vanderveken gave himself a year to learn how to play the piano concerto by Edvard Grieg. He challenged Flemish musicians to participate in learning an instrument or music piece and display their effort online. The most remarkable musician shared the stage with Thomas at a closing event in December. But how do you activate an online community? How do you moderate a platform? And how do you keep the users central? That is what the startup Koalect examines with its crowdfunding platform. Canvas and VRT Sandbox challenged the startup to build a platform where musicians can upload their videos and pictures and follow each other’s progress. Koalect adjusted its platform to the needs of this project. Keeping the users invested for a whole year seemed to be the biggest challenge. But the registrations kept coming in, and after ten months there still was a large group of participants active. The musicians received updates through email marketing, the way Koalect and Canvas created a community. By using the online crowdsourcing platform, Canvas had reached out to big audience even before the television program 'Thomas speelt het hard' existed. Koalect engaged viewers in the production of the program. Thus, the startup proved that it is possible to create a bottom-up television show with user generated content. Get in touch with Koalect on its website or on Twitter!